The dust settled as my aeroplane wheels landed at Heathrow on Saturday 20th May. VeeamON. So now its time to digest, and detail the information from the worlds premier availability conference, VeeamON. Veeam is now 10 years old! So its out with the old and in with the new logo! It’s hard to believe that the logo on the left has been knocking around for so long. So lets dive into the announcements. 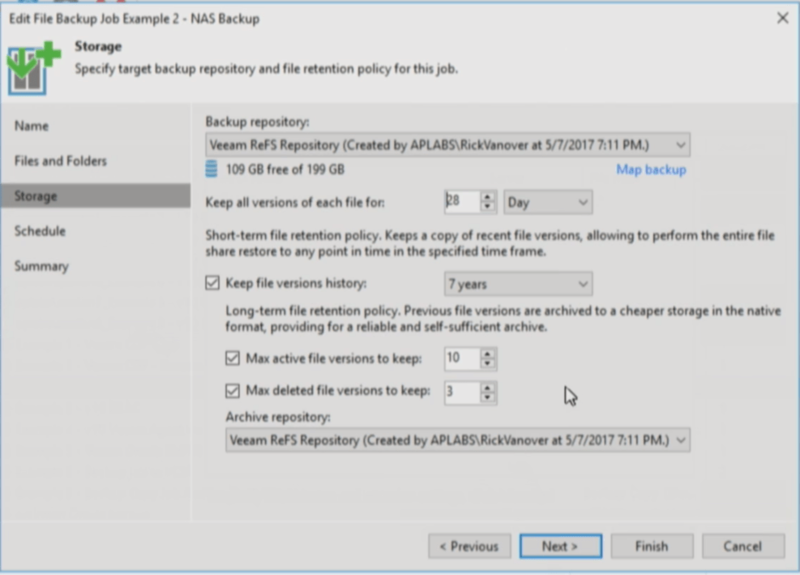 NAS Backup – the support for backing up File Shares and NAS devices, and the ability to restore point in time file versions, or file share state. 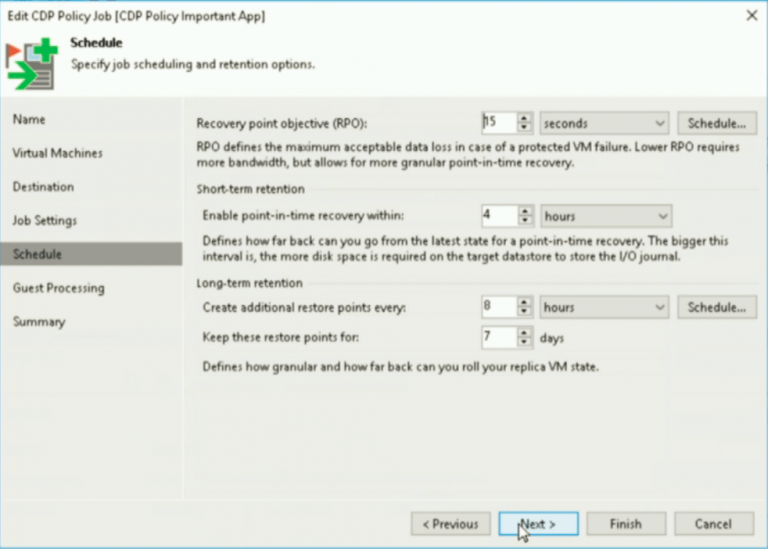 Continuous Data Protection (CDP) – utilizing VMware’s vSphere API for I/O Filtering (VAIO) (meaning no snapshots), Veeam has built upon its technology to allow for data protection down to seconds, rather than minutes. The feel and look of the UI settings are that akin to the replication features. Unlike competitors, there is no need for agents inside your virtual machines, or unsupported changes to your VMware environment. Full support for physical devices – customers cried out, Veeam listened. There is a need to protect physical workloads, Veeam first produced Endpoint Backup as a free product. Then added enterprise sauce ontop which included support. Now you can fully control your agent backups via the Veeam Backup and Replication Console, including automated deployment. Protect your Workstations, Servers and Failover Clusters. Availability of Veeam Agent for Windows 2.0 also went GA! 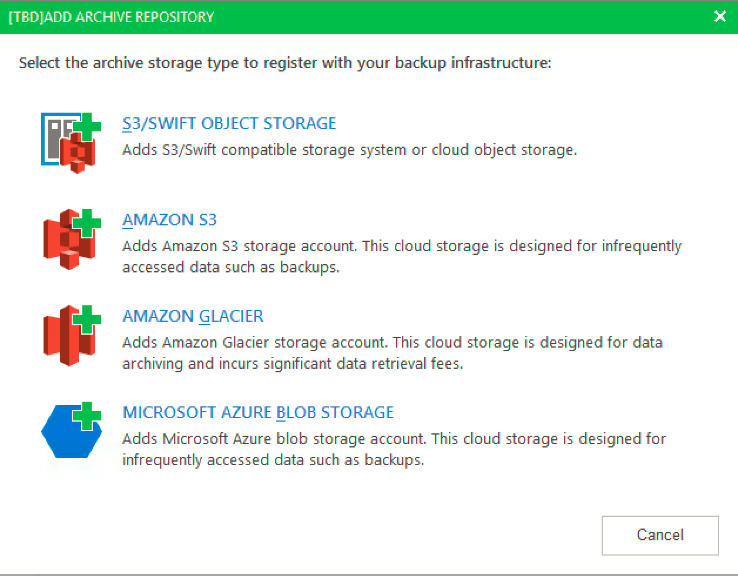 Scale-out Repository Archive Tier – Providing you the ability to send your backups to cheaper storage (think online; Amazon S3, Amazon Glacier, Azure Storage Blobs). With a varying degree of options around thing, its easier to control your sprawling GFS setups, and makes it easier to keep a tight control of data which needs to be retained for a number of years. Oracle RMAN support – allowing users to seamlessly stream RMAN backups into Veeam repositories and easily perform UI-driven restores from backups using a Veeam console. Enterprise Manager enhancements – role-based access control to establish self-service backup and restore functionality for VMware workloads based on vCenter Server permissions. I attended a session with Anton Gostev, no introductions needed, who was providing a deep dive on v10. You can see the recording below.